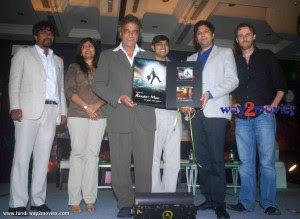 Lucky Ali launched his new music album 'Raasta-Man' under his own label Lucky Ali Entertainment – a part of the Surplus Group in Mumbai on 07th July 2011. The album is a story of a man and his experience, who travels all around the world in search of love. 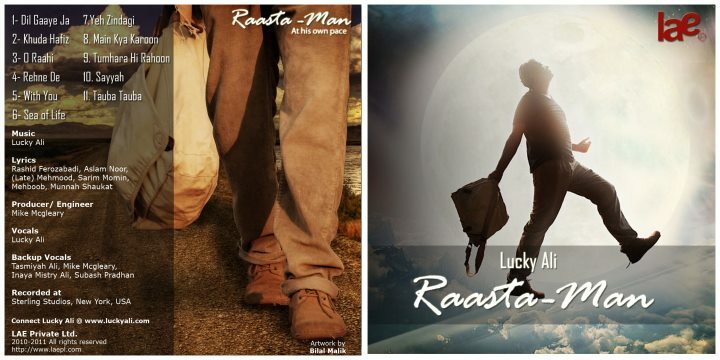 ‘Raasta-Man’ is the sixth solo music album by Lucky and inspired by the extraordinary life and times of a nomad. With this album, Ali reveals his distinctive music and offers timeless compositions promising a whole new experience to his listeners. The album is a treasure chest of Lucky Ali’s experiences successfully translated into 11 songs. As Lucky’s music has been an example of freedom of expression that’s why he decided to make it available for free through the internet (http://www.raastaman.com/). Lucky has freed himself from all the bonds of the music industry to give momentum to his unique and trendsetting brainchild. While everybody applies for a Copyright, Lucky Ali went the Copyleft way and decided to launch his own label, Lucky Ali Entertainment – a part of the Surplus Group. 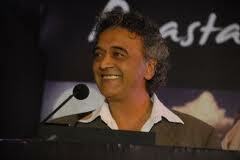 SURPLUS group is founded by Lucky Ali and Asif Iqbal. Surplus represents everything beyond what one actually needs. “Our philosophy is to channel that surplus towards living, education and entertainment. (http://www.surplusgroup.co.in/) Raasta-Man is the first album under this label.” Lucky Added. 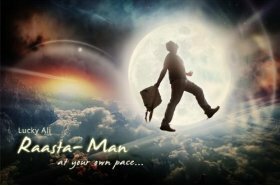 ”Raasta-Man is about the man on the road… raaste pe chalne waala aadmi. The album is about identifying thoughts that we, as common people, have. It’s balladic... it’s anthemic... it’s romantic... it’s path-breaking in many different ways. It’s a different album. I liked listening to it as I recorded it. For this album, I have travelled all over the world, recorded wherever I could… New Zealand, England, China…. It’s a compilation of all the sounds I have heard and imbibed in the last five years. This is part of a larger repertoire of works that is yet to be released.” Lucky Explained. Musician Lucky Ali is all set to begin a campaign that will cater to the needy people. With his latest album ‘Raasta-Man’ about to create waves in the world of music, Ali will travel across the country to do live concerts and create an awareness to donate old things to those who need them. To promote the album, road shows are being organized from the first weekend of September with concerts in various cities. “Rather than going to a music store, looking for an album and buying it, I felt it would be nicer to connect with the listeners on a one-on-one basis. When people come for these concerts, I would like to give a copy of the album to each one of them.” he added. All songs of Raasta-Man have been recorded at Sterling Studio in New York. While the album will be popularized through the grand multi-city concerts, Lucky Ali has appointed media house UTV as the official music partner to make the album available across various mediums. Through this partnership with UTV, the album will be accessible on Radio, Television, Voice and other digital platforms. Ovations India is the producer of the album and host to the concerts and road shows, while Buenos Entertainment has been chosen to support Ovations on Sales, Marketing, Event Management, Logistics Management, Ticketing, Travel Management, Event Production& Backstage Management. Zubair Ali is the Tour Manager. So, all you Lucky Ali fans there, get ready to soothe your souls to the tunes of your favourite singer with ‘Raasta-Man.